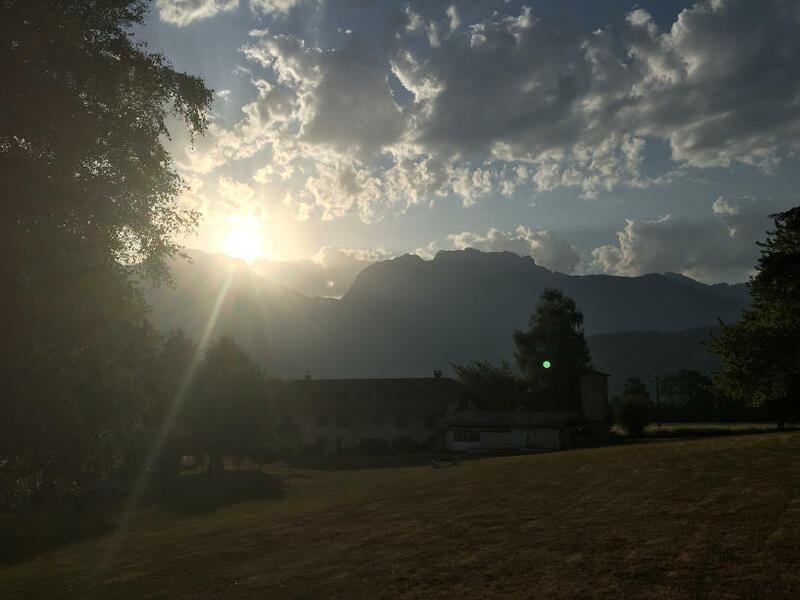 “The Krav Maga Summer camp at Lake Annecy totally exceeded my expectations. The location was beautiful, the weather was glorious, the food and wine tasty & plentiful but most importantly, the Krav Maga and the Kravists in attendance were world class. My skills, knowledge and fitness have greatly improved in a very short (intense) period of time. I also made some very good friends. 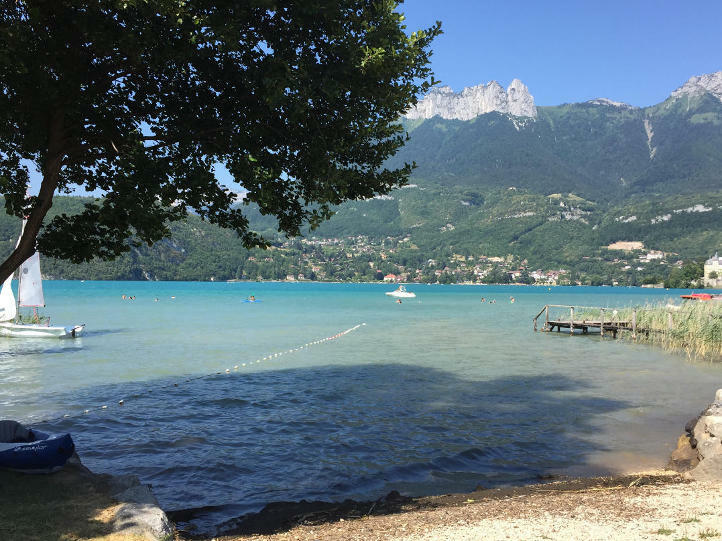 “The accommodation in a resort on the shores of Lake Annecy was both organised and relaxed. Food was plentiful and excellent and the locale attractive. There were lots of things to do apart from training, including cycle hire at very reasonable rates (8 euros for a half day and 14 euros for a whole day). 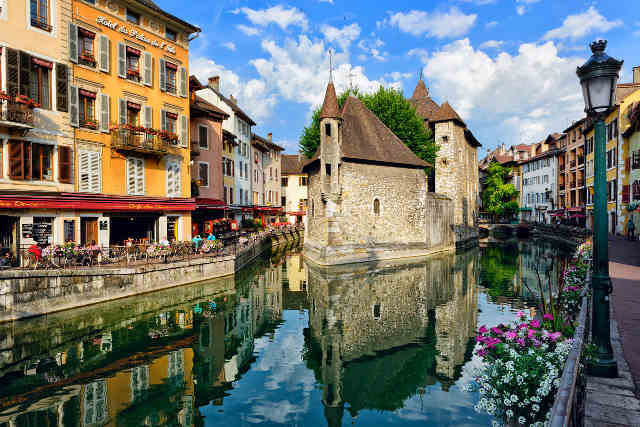 The beautiful medieval town of Annecy is only eight miles away on a dedicated and scenic cycle path. I travelled out from London by Eurostar overnight, changing at Paris, taking about 12 hours. The return journey was from Lyon, two hours by train from Annecy, and went direct to London via Lille, taking about 11 hours in total. Annecy is 25 minutes by bus from the living accommodation near Duingt and the journey costs 1.50 euros. Four hours training a day with one day off was of a very high standard. You could join any group from white/yellow up and change freely between them to find the one most suitable for you. As well as the group work by grades there were demonstrations by the chief instructor to all participants of overarching technical points . Training took place in a local gym which we went to by bus. One point to note is that the training was in French, as most of the participants and all the trainers spoke it. There was always someone around to translate or summarise. But if your French is good you will obviously be able to absorb much more of the teaching.